What elements could a natural treatment for macular degeneration contain? Macular degeneration is a condition that occurs in the eye. Previously, it was thought that a person suffering from this condition would eventually lose eyesight; vision would deteriorate, causing blurring and blind spots in the center of vision. Now, however, new studies are finding that there are several new treatments for macular degeneration. Research is also finding that many of these treatments that have been found to be effective are natural. Macular degeneration can often occur without any pain and can be difficult to identify because initial symptoms will come on slowly and often affect only one eye. During the early stages of the illness, the healthy eye will compensate for the ailing eye, which can make it difficult to catch and diagnose macular degeneration. There are two different kinds of this disorder: dry macular degeneration and wet macular degeneration. Dry macular degeneration is the more common of the two types of this disorder, while wet macular degeneration only makes up about 15% of the cases of this disease. Symptoms of dry macular degeneration include increased difficulty seeing in low lighting, bright colors appearing less intense, an increased need for bright light when doing close work or reading, overall haziness in vision, and a blurred or dark spot in the center of sight. So, what are some important elements of natural treatment for macular degeneration? Studies have recently found that there are certain vitamins and supplements that a person can take to help treat and prevent this disease from becoming an issue. In addition to these supplements, people should make sure to wear sunglasses, as excessive sunlight has been long thought to be a contributor to macular degeneration. Lower your risk of macular degeneration by not smoking and maintaining a healthy weight, which can help to slow or delay the progression of the disease. 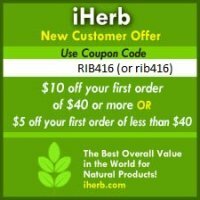 It is said that there is no treatment for macular degeneration that will undo the damage to eyesight that is done before the condition is caught; however, even then, the following nutrients, herbs, and supplements have been found to be effective in slowing the progression of the disease. Vitamins C, E, and A, combined with zinc and copper, have been shown to lower the risk of vision loss progressing to moderate or severe by up to 25%. Melatonin has been found to regulate the pigmentation of the retina and help reduce abnormalities found in that area of the eye. One study found that a combination of acetyl-L-carnitine, coenzyme Q-10 and omega-3 fatty acids from fish helped to improve vision function. Gogi berries contain a nutrient that is helpful in maintaining the macular pigment and also helps protect the retina. Ginkgo is thought to help treat early stages of macular degeneration, and medical professionals are recommending that patients who suffer from this disease begin taking it. Bilberry helps to strengthen capillaries to prevent bleeding in the eye. It also contains flavanoids that react like antioxidants in the retina. While it is always best to do whatever you can to prevent this disease, when caught early on, macular degeneration can be slowed considerably. This means a longer period of time without suffering the effects of the illness. The above tips and suggestions can form useful parts of a natural treatment for macular degeneration which you may be embarking on.